Pack The Bag Tours Pvt. Ltd. is India's leading Air Charter Provider with access to over 150 aircraft and helicopters across India and over 1000 across the globe. As a leading Air Charter Service provider we keep chartering economies and fullest comfort in mind while providing you any aircraft or helicopter for Charter. We are very well and very popularly known among our clients for providing best of solutions for private Jet, private jet hire, private jet charters, private Plane charter needs for them. We have built our repute on the same. 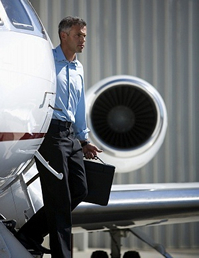 You can rely upon us for your needs of charter flights in India or across the Globe. Whether you require a point to point charter flight by aircraft or helicopter or its VVIPs who want to travel, Business or Corporate Charter flights, multi route charter program or more than one aircraft require for your charter need; all will be handled with same intensity and a personal attention is given to all our clients.